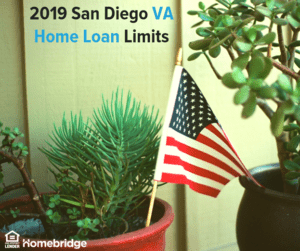 The 2019 VA Home Loan County Limits have been released. For 2019, the ZERO down payment limit will increase to $484,350 for most counties. For some “high-cost” counties (table below) such as San Diego, the limit has increased from $649,750 to $690,000. A buyer can go above the limits by putting down 25% of the amount over the limit. For instance, in San Diego, one could put down $25,000 for a VA purchase of $790,000. The 2019 VA loan limit increased to $484,350 from $453,100 except in 199 high cost counties where they are higher. This represents a 6.9% increase this year. For comparison there are 3,234 counties and county equivalents. The maximum conforming VA loan limits for mortgages acquired by Fannie Mae and Freddie Mac are determined by the The Federal Housing Finance Agency (FHFA). 21 counties dropped off the high cost county limits (Alpine, CA, Hood River, OR, San Juan, WA, 3 North Carolina Counties and 15 Virginia counties). No counties were added to the list and 47 counties saw no change. All high cost counties in Massachusetts and New Hampshire saw the greatest increase at over 14%. 2019 VA Loan limits apply to all loans closed January 1, 2019 through December 31, 2019. All 2019 “High Cost” County Limits NATIONWIDE are listed below. The Chapman Lending Team at HomeBridge covers every county in California, Arizona, Georgia, Hawaii, Washington, Texas, Florida, Oregon, Nevada, North Carolina, Michigan and Virginia. HomeBridge Financial lends in all 50 states. We are VA loan experts and help hundreds of veterans each year. Now licensed in CA, AZ, NV, HI, WA, TX, GA, VA, MI, OR, FL, KS and N.C.
About the author: Dan Chapman is the branch manager at HomeBridge Financial Services in Carlsbad, CA. 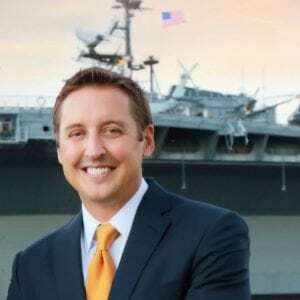 He is ranked as the #1 VA loan officer at HomeBridge Financial (out of 700) and is ranked in top 30 in the entire United States in VA loan origination year after year. Dan is a Naval Academy graduate, served as a Captain (O-3) in the Marine Corps, and is an Operation Iraqi Freedom veteran. He has been focused on helping active duty military and veterans attain the dream of home ownership since 2007. He is actively involved in several local veteran causes and performs VA loan seminars throughout greater San Diego on a monthly basis. For a free consultation, please contact us anytime. Read More of the post But BAH Is Not Taxed, Can I Still Write All This Off On My Taxes??? Read More of the post Are VA Loans Assumable? YES, and the Buyer doesn’t even have to be VA Eligible!